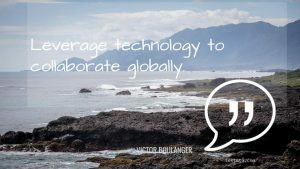 If you want to take teaching to the next level, you have to look beyond the walls of your classroom and collaborate on a global scale. Teachers must model collaboration to students so they in turn can use these skills in the digital world in which they are already immersed. We are happy to share the success story of a KAS teacher who was recognized for his teamwork across continents. In his seminal book, Thomas Friedman painted a picture of a world were people become more able to collaborate, compete and share with others of different cultures, educational backgrounds, and languages. Today, the world he depicted in 2005, is undoubtedly here. We cannot wait for our students to experience this world outside of our classrooms. It is up to us, educators, to focus on the skills that will allow them to navigate positively in those new waters. This is the reason collaboration and sharing are central pieces to any technology policy. ISTE exemplifies this. The ISTE standards are references because they provide solid guidance for our students. Standard #7 provides a framework to challenge our students to become global collaborator. It encourages us to teach them how to use digital tools to broaden their perspectives and enrich their learning by collaborating with others and working effectively in teams locally and globally. However, teaching this skillset in the digital world may not necessarily be self-evident to Generation X. In Chapter 2 of Good to Great, Jim Collins identifies the best leaders as a group displaying a mix of determination and humility. Many of us have the humility (and sometimes shame) to acknowledge that we are not digital natives. It is important to understand that a digital native is a connected being. And so a misconception needs to be dispelled here. Teachers who are the most successful at integrating technology are so not because they master a piece of technology. They realize their potential when they recognize technology as a connection tool. 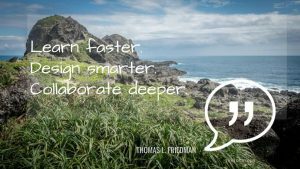 If you want to take teaching to the next level, you must actively seek out collaboration with other educators using technology. 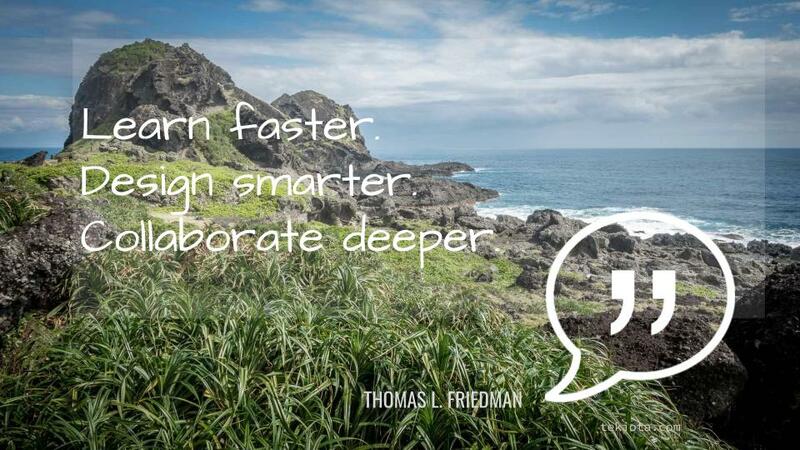 The key to be able to teach collaboration, is for teachers to model digital age work and learning and collaborate within their community and with other communities of connected educators. There are many examples of KAS teachers collaborating with other schools. Lulu once took front stage with her mystery hangouts. This semester, travelling teddy bears are connecting our younger students in the elementary school. The tip of the hat today goes to TW for his sustained association with Annette Lang across the globe. On February 19, 2015 Annette a teacher in Ohio, US sent a single tweet. She very simply wrote: @VictorBoulanger @biomedacademy we are looking for schools to connect with for collaborative projects! We a #gafe school. I relayed her words to TW, who diligently responded. 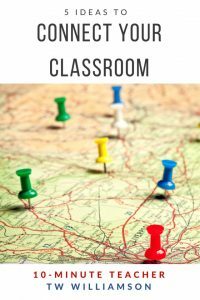 This story of connected classrooms which we highlighted in the past, now appears to be the founding stone to all the connections linking these educators and students across continents. 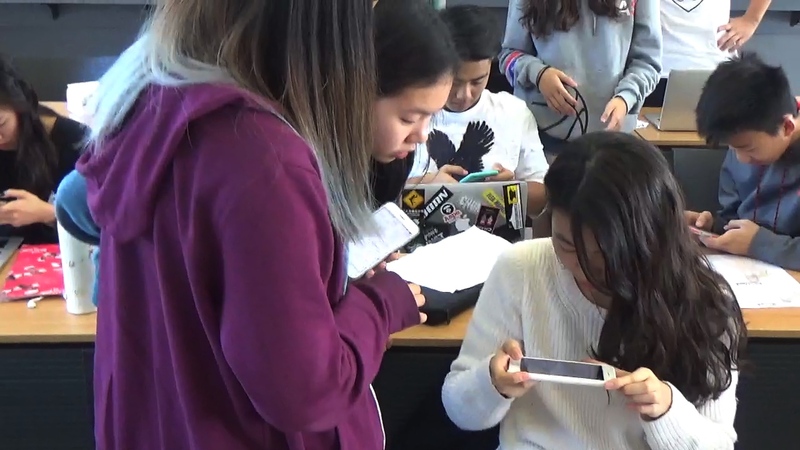 For the past two years, Annette and TW have had their students work collaboratively on a variety of projects which not only push the students to practice digital citizenship skills in a very real context, they have also been a major source of professional growth for the teachers involved. Their teamwork was recently recognized by educational guru Vicky Davis, better known by her Internet monicker Cool Cat Teacher. 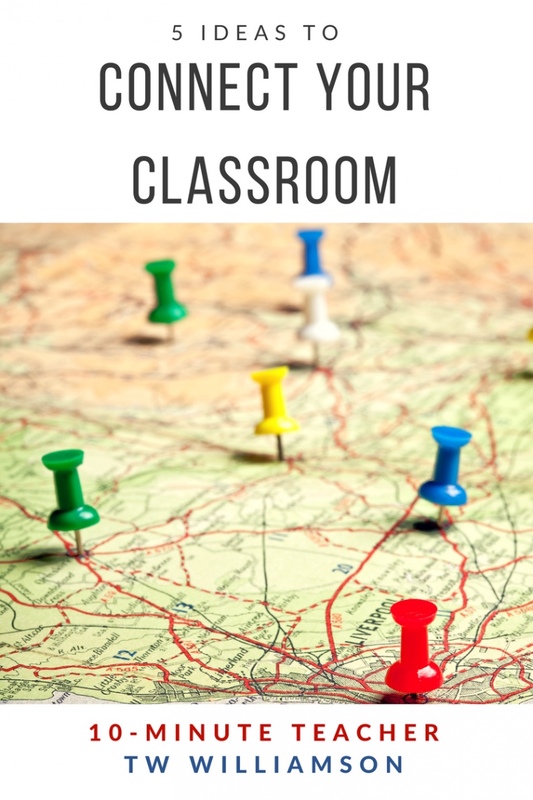 In her 10-minute Teacher podcast, she interviewed TW as they discussed 5 ideas to connect your classroom. Do not miss it! If you took your teaching to the next level, let us know in the comment section below.